The first detailed Iranian account of the diplomatic struggle between Iran and the international community, begins in 2002 and takes the reader into Tehran’s deliberations as its leaders wrestle with internal and external adversaries. The first detailed Iranian account of the diplomatic struggle between Iran and the international community, The Iranian Nuclear Crisis: A Memoir begins in 2002, when news about Iran’s clandestine uranium enrichment and plutonium production facilities emerged, and takes the reader into Tehran’s deliberations as its leaders wrestle with internal and external adversaries. 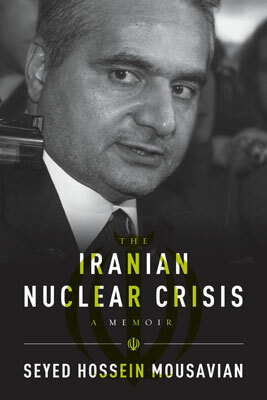 Seyed Hossein Mousavian, previously the head of the Foreign Relations Committee of Iran’s Supreme National Security Council and spokesman for Tehran’s nuclear negotiating team, provides readers with intimate knowledge of Iran’s interactions with the International Atomic Energy Agency and global powers. Mousavian’s personal story comes alive as he vividly recounts his arrest in 2007 on charges of espionage. This and other dramatic episodes of diplomatic missions tell much about the author and the swirling dynamics of Iranian politics and diplomacy—undercurrents that must be understood now more than ever. As intense debate continues over the direction of Iran’s nuclear program, Mousavian weighs the likely effects of military strikes, covert action, sanctions, and diplomatic engagement, along with their potential to resolve the nuclear crisis.